es, I did say English Tudor—but we are in North Carolina. These charming houses are all Tudor inspired. The first one was built in the 1920s. The curb appeal is so welcoming with the stone columns topped with large planters and the circular gravel driveway. 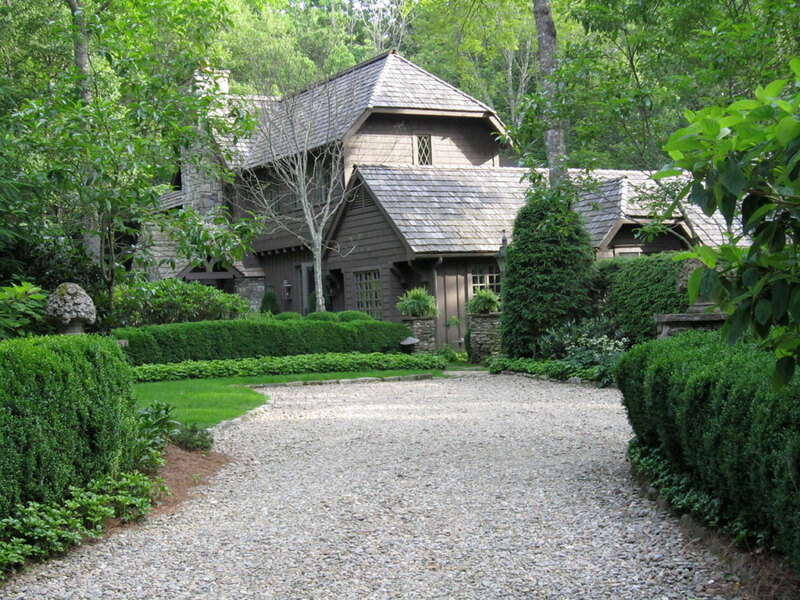 I love all the boxwood lining the drive and the entry—could it be any more charming. 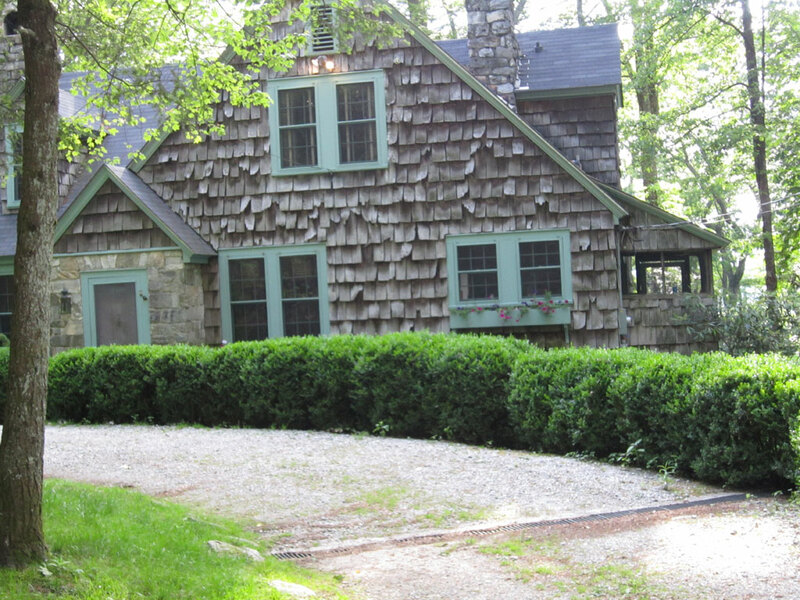 The real show stoppers of this house are the Curling Shakes and the green trim. Thank you for not “repairing” the shakes—they are the best. The next house just screams English Tudor. The Garden is filled with boxwood and hydrangeas. 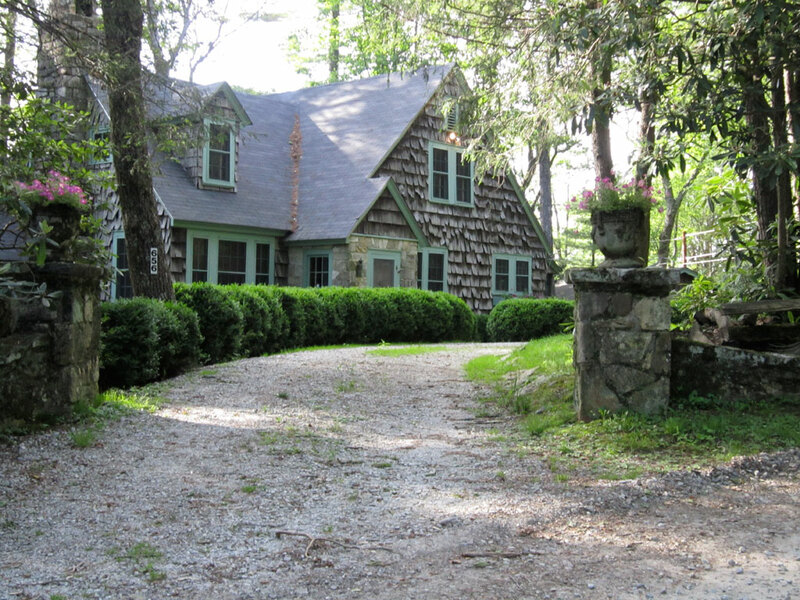 More stone columns and planters mark the entry to the gravel drive. The last picture is a charming window box under an aged copper roof—so English. Enjoy these lovelies and dream up your next English adventure. I can just hear the gravel crunching under my feet. 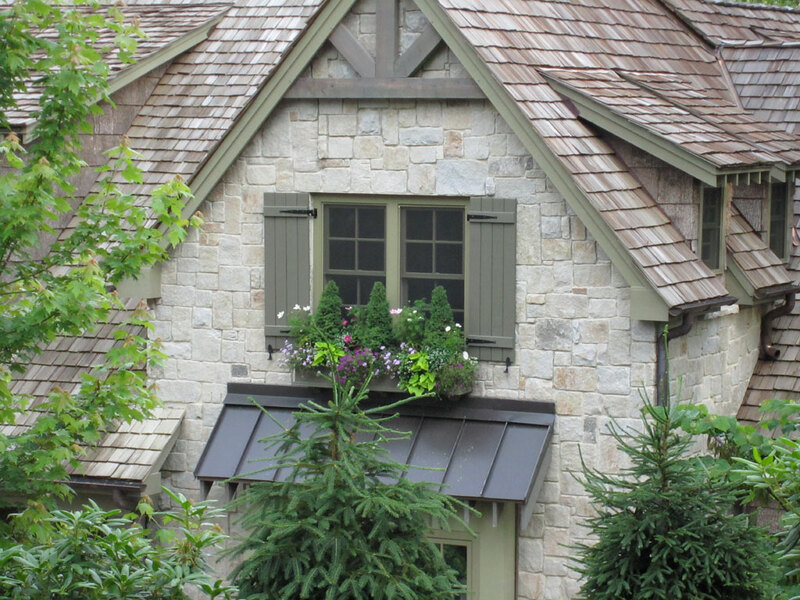 Notice the other very English details—gable detailing, dormers and stone chimneys. I’m thinking less Tudor, and more Sir Edwin Landseer Lutyens.